Market development includes the on-going effort to increase your market share and short-term initiatives to win a single opportunity. AdvantEdge Group has practical experience and expertise to help you grow your market share and win more opportunities. 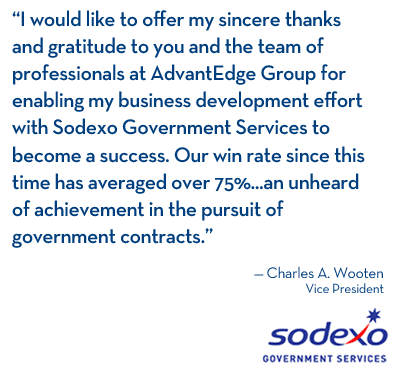 Whether you are a multibillion dollar international firm, or a small business striving to become a player in the Federal market, AdvantEdge Group support can help you focus your efforts on opportunities that you can win.